and Horror events and décor for any occasion. 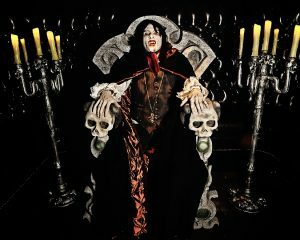 A full service design and decor rental company, Once Bitten Productions specializes in providing everything you need to have the ultimate Halloween event, horror themed private party, or even a complete Haunted House attraction. Once Bitten will help develop the theme for your event and then create “immersive environments” with our extensive collection of props, sets, special effects and more… everything you need for a successful event. Once Bitten offers a selection of standard Theme Decor Packages to choose from, but we can also bring your own unique vision to life, designing and creating any custom theme you might imagine. If we do not have what you need on hand, we will build it. You imagine it, we will create it. Anything is possible with our experienced “fright team”. From the mild to the horrific, if you are looking to create a memorable HALLOWEEN, SPOOKY, or FRIGHTENING event, contact us and see what we can create for you.